When I announced I wanted to start generating more income from my online activities I had little or no idea on where to achieve this outside of my current Ads and Blog Engage RSS Service. The article in which I announced this got many great replies from my readers suggesting multiple ways in which I could accomplish this goal. The one suggestion that stood out the most was the idea of guest blogging contests. Now I’ve thrown many of these things and currently have one going right now that’s giving away 500USD is cash on the Blog Engage Community Blog. What I’ve never done before is enter one as a contestant and last night I did just that for the first time. The contest has many great prizes including up to 4500 USD. My goal is to market and promote my article to the point of no return and try too win one of the top spots. I’m hoping all my readers here will help be successfully promote the article when it’s published. When the contest article is posted I will write and article here on my blog asking you my readers come and engage in conversation with me. Comments are a big factor to wining the contest so I will need all the help I can get. I’ve seen the articles that have been submitted and its going to be a very competitive contest. I have already written my article and I’m hoping the content is unique enough for me to stand out amongst the others. Assuming you can write an exciting and entertaining article you could have a good chance at winning some extra money. If you start joining multiple contests there’s a good chance it could become steady stream of income that is added to your overall online income sources. At this time my plan is to start joining all the blogging contests I see online. I’m no longer going to sit back and watch other people win. This is going to start earning me extra income and this is important to me. This should also help me improve my writing skills and get some free promotion for Blog Engage as well. Have you used blogging contests to increase your online income? Has it worked for you in the past? Do you find it’s hard if you don’t have enough followers or online friends to remain competitive? What’s your thoughts regarding blogging contests being a semi steady source of income? Wonderful tips shared here, You are absolutely right that we need to share our online income to market our blog and one such way to spend is announcing guest blogging contest. $100 to contestants who win and will launch contest soon. So contest and give away is excellent way to attract more people eyes. Hi Vijay, yes doing your own contest will drive some traffic to your blog. I do it all the time and it works amazingly. It’s also a great way to increase your income if you have some good content to write and share. I haven’t joined a blogging contest in the past, mainly because time doesn’t permit me to invest the time in a contest. I would like to, and probably will in the future, but at the moment time is limited. I do agree that one must diversify online income. I realized that last August/September when my AdSense income dropped over 50% over those two months. 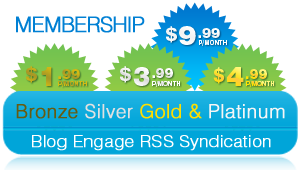 I have since began look at other alternatives for income in addition to my AdSense income. This way if something impacts one income source, I will hopefully have other sources to make up the difference. Hi Paul, your right guest blogging takes up a lot of time but hey I have to do it if I want to increase my income. Who know I may not even place in a top position but I’m going to try my hardest to do so. I hope to see you supporting me when I announce my contest article. I don’t think contests are a reliable source of income. Never the less it does show that there are many ways to diversify and have different streams of income. 2. Back links. Even if nofollow, still allows people to click through to your blog. The winnings are an added benefit and I won’t say no. I’m assuming that it is the comluv contest. mm Should I enter? Yes? No? Hi Robert, did you copy my blog article title LOL? 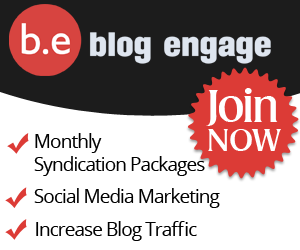 how to Engage your blog readers? Hey by the way I don’t think you should enter you should help me win. I don’t need your competition your far to talented for me to beat! All the flattery in the world will get you everywhere. Article title: – Nope did not even know you had same or similar post. Where is it. Would like to read. Oh hold on a minute. Now I remember. Still did not copy. No malice intended. I know I’m just playing around! I know you have way to much integrity to do something like that. You must know I’m only joking. OK this is the last comment. Just as a side note. I notice that the nested reply can get rather difficult to reply to when they go more than 3 deep. I do not believe that blogging contests are good ways to earn income online. But it doesn’t stop me from trying. I only participate on sites that I would normally guest write for anyways and if I have the time write the article and market it. Last few contests I have missed out, just because I haven’t had time to do much of anything other than work and do a little on my blog. The reasons why I do contests is because of the exposures and the backlinks. I also get the practice of marketing a particular article and I get to see how well I do. If I when some money or products thats an added benefit. You know James I agree with you. I was thinking if I could win perhaps I can win at others as well. Seeing that contests have no consistency I agree it’s not a good source of income but you have to admit ti’s a good way to make a bonus every month. We all love bonuses! I’d love to host more contests on my site, but it’s tough to get sponsors. Paying out of pocket is rough! Amazing concept. i must say you have vast knowledge of writing a blog.